1. I am pretty sure I’m averaging one blog post per month now haha…..*slow clap*… way to go, Sarah. Way to go. 2. Justin took me to the ER last night. I feel dumb for even posting about this because it was one of those “better safe than sorry” situations. I was having some weird symptoms, Justin looked on webMD (mistake #1), he told me what he found (mistake #2), we called our doctor and he told us to go to the ER because it sounded like it could be a blood clot in my leg. 2 hours, 1 ultrasound, and $400 later….I am fine. It was a dumb dumb dumb night. 4. I am on day 5 of my sugar detox. I don’t feel any different, really. Just trying to get back into healthy habits 🙂 Next thing to take out is dairy! 5. As I write this, Abbie is snoring on the baby monitor and Justin is napping next to me, snoring in my ear. Now I know why I don’t sleep very well! 6. Today is yard work day! Once everyone wakes up, we will head to Lowes to pick up a few things (tomato cage, planter, paint..). I need to beautify our back porch because I am hosting a Juice Plus event next weekend. Can’t wait! -Things around here have been busy, uneventful, and happy. Our days are filled with playing, dancing, learning, and the occasional meltdown haha. -Sometimes I look at Abbie and wonder how the heck she got so big! 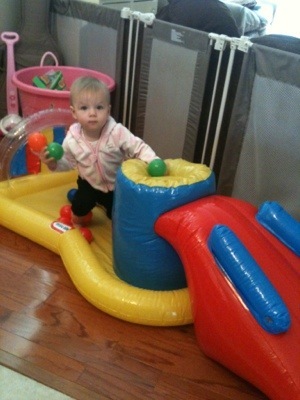 She turns 17 months next week…what?! – When I see little babies, I get baby fever. SO. BAD. …..but then I remember Abbie’s birth story. And then I’m good for the next, like, 20 years. I’m not sure when the next baby Shannon will enter our family, but it probably won’t be for a while haha. – Abbie is going through an “I hate wearing clothes at home” phase. I am thinking this is a great opportunity to potty train….now I just need to get the motivation! I don’t want to toot my own horn or anything…but I am usually a pretty good cook. I like to experiment and make up my own recipes, but when we became a family with strange diet restrictions, experimenting got pretty challenging! I quickly began to memorize all of the baking substitutions (who knew flax seed and water could replace an egg?!) and as long as I followed a recipe, things turn out pretty well! 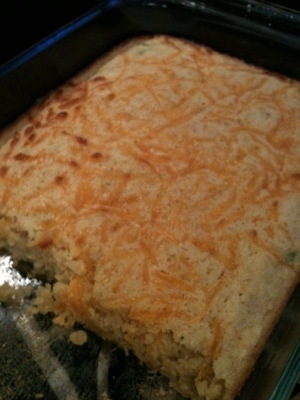 The one thing I have been craving (nope, Im not pregnant) lately is cornbread. But I have never found a successful recipe until today! I made beef stew for dinner and cornbread was the perfect compliment! Here is the link. Try it out for yourself! *side note..I had no cornmeal on hand, so I just ran corn chips through the food processor and omitted the salt that the recipe calls for. It didn’t change the consistency or taste at all! Sorry the pic isn’t better..I just snapped it as I was cleaning up dinner! Today was a tough day for Abbie. I tried taking her to Kohls with me but that lasted 5 minutes. With 3 molars and a canine popping through her gums in addition to her free spirit, doing anything on my want list was darn near impossible. I decided our day needed something out of the ordinary after the Kohls meltdown, so I drove to the nearest park . Thankfully, it was completely empty so I could let Abbie run loose. I had a moment there with God, thinking that it is a lot like my relationship with Him. He sees the things on the path that are dangerous for me and give me clear instruction on how to avoid getting hurt. Like Abbie, I have a strong will and don’t always listen…but God is always there on the path with me. Loving, forgiving, and directing me. Now that Abbie is 15 months, we are putting the baby toys away and collecting toys that keep her more active so she is less bored. She isn’t a baby anymore and that makes me so excited! I guess I am that weird mom who doesn’t miss the tiny fragile stage…but I just love seeing her grow, gain independence, and talk to me! So it’s “bye bye” baby toys, “hello” toddler toys!! One of the may things I have learned about parenting is things won’t always go the way you plan they will. The truth is, you can plan as much as you want for your little bundle of joy’s arrival, but you just don’t know what their personality will be like until they get here. Maybe they will hate being swaddled. Maybe they will yank off every bow or headband that you try to put on their head. Maybe they won’t be able to sleep anywhere besides laying on your chest for the first few months. Maybe you’ll have to listen to them cry for a while because they will be colicky….and sometimes there just isn’t much you can do about it……you get the picture. You can plan all you want, but a big part of parenting is rolling with the punches and trusting God to handle the rest. 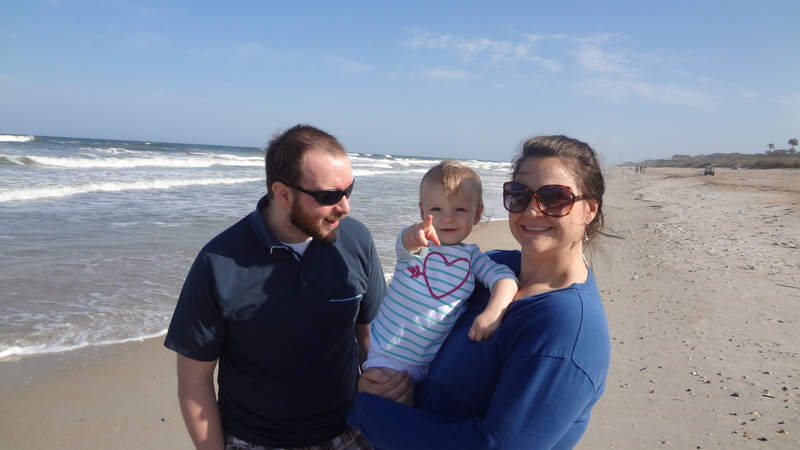 Ever since we found out we were pregnant we prayed for a happy, chill, easy-going, and social baby. We got 2 out of 4. lol. **Side note…I am not complaining by any means. Abbie is SO happy and LOVES to be around new people. She is definitely not easy-going or chill lol…but that is okay. She is a force to be reckoned with. We have an active, curious, and adventurous little ball of fire… and I couldn’t be more proud of her. I am SO excited to see how God uses her and her spirited personality. 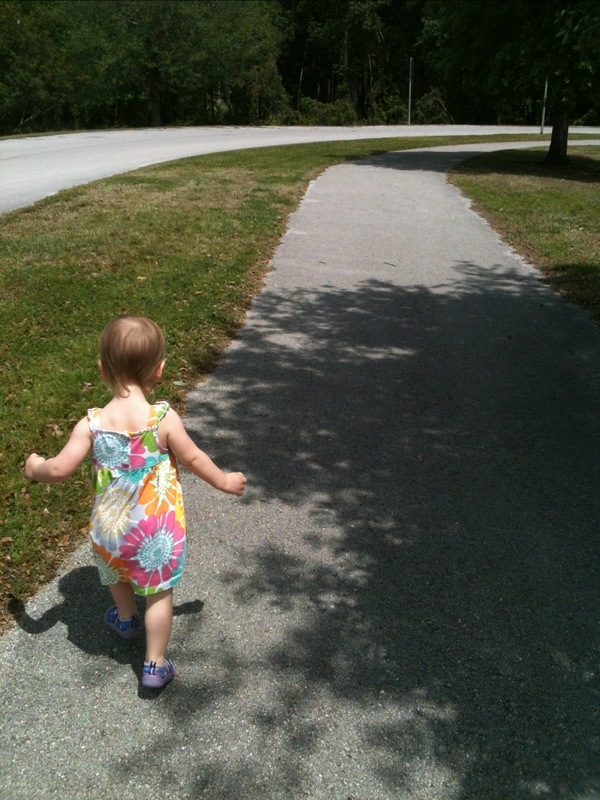 Now that Abbie is a full-blown toddler, she has the need to walk around more and gain independence. With this need, comes her objection to being held for longer than a couple minutes. Whether we are in a department store, at the farmers market, or chatting with friends after church…Abbie just has the desire to explore the world around her (which as parents, Justin and I encourage her to do). It is so hard finding the balance between letting her explore and needing to hold her and keep her from running around everywhere (since she is 15 months old, we are still working on obedience and listening to mommy and daddy…. a lifelong struggle for most haha). If we put her down to walk and we aren’t in the comfort of our own home, she will take off running like the wind. Before I had children, I used to think that a leash safety harnesses meant that parents were treating their children like pets rather than human beings. The “attachment parenting” side of me thought that it meant parents were sending a message to their kids that they don’t trust them. I had a strong negative feelings for leashes and the parents that used them. I understand that they can be helpful to parents with toddlers who are “bolters”. I understand that they can be helpful while toddlers and parents are working on the communication and understanding of requests such as “stay close to mommy” or “don’t run into the street”. I understand that some toddlers just won’t hold mommy’s hand while walking around the store, and that some children just can’t sit still in a shopping cart. I understand the need for children to explore the world around them, the need for parents to let them, and the need for safety in the midst of that. 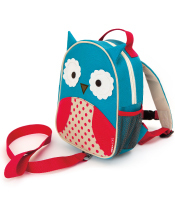 So don’t knock the mom who is walking around with her toddler wearing this backpack. You don’t know what other parents are going through and you don’t know what their childs’ needs are. I learned that the hard way. **disclaimer: I’m not looking to start a debate. I am just stating what I feel. This is my blog, and I can if I want to 😉 I also understand that, like all baby gear, things can be misused. And I still have strong negative feelings for parents who do use these safety harnesses like leashes for their pets. That is misuse. And I do not condone it.